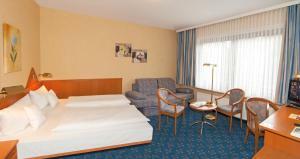 Located in Hamburg’s quiet Neugraben district, this hotel offers a large restaurant with garden terrace and free Wi-Fi. Rental bicycles are available for exploring the Harburger Berge Nature Park, 1.5 km away. 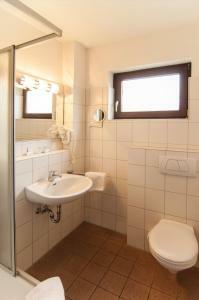 Country-style rooms with cable TV and a work area are offered at ITM Hotel Deutsches Haus. The private bathrooms include a hairdryer. A breakfast buffet is provided in the mornings and guests can enjoy drinks on the terrace. Neugraben Train Station is a 7-minute walk away, providing direct connections to Hamburg city centre in 20 minutes. Free parking is provided. Please inform ITM Hotel Deutsches Haus in advance of your expected arrival time. You can use the Special Requests box when booking, or contact the property directly with the contact details provided in your confirmation.